The doors will open at 9AM and the preliminary ceremonies will began at 10:30AM, followed by a meal offering and blessing. 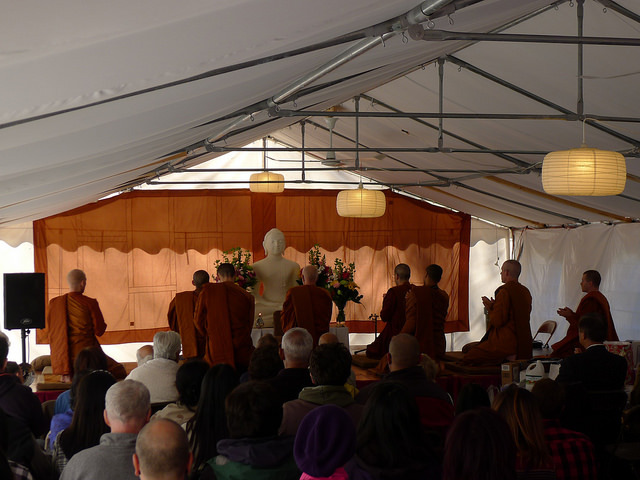 At 1PM, the Kathina offering ceremony will take place followed by a Dhamma reflection. This year’s Kathina offering is sponsored by a group of Ottawa Buddhist families and friends. Please ensure that you arrive well before 10:30AM if you are offering dana for the pot-luck meal. Please allow time for finding the venue, parking and getting to your seats.